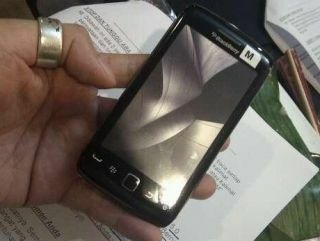 The forthcoming BlackBerry Storm 3 (or Storm 2 'refresh) looks like it's been canned by RIM. The new phone was supposed to land on Verizon in the US, and presumably on Vodafone in the UK like the previous Storms before it. ""Thank you for your hard work and diligence in preparing your application to support the upcoming hardware refresh of the BlackBerry Storm2 smartphone (model number 9570, codename R027). "Regrettably, RIM has decided not to pursue this device further and has ended the program. "However, rest assured that you will have the opportunity to leverage the work you've put in thus far in preparing for the new OS, as BlackBerry 6 will be making its way to more Verizon products in the near future, including the BlackBerry Bold 9650 and the BlackBerry Curve 9330." The reasons behind the discontinuation of the project are unclear, although the first two in the Storm series didn't exactly set the world on fire when launched in the past year. Plus with the Torch, RIM seems to think it has the answer to the touchscreen/keyboard conundrum with the Torch - just stick them both together.